Are you printing with the thermal transfer technique? Printing on Vellum Paper Labels is a smart and economical choice with good scanning characteristics and quality print images. Vellum Paper Labels are Uncoated label, ticket and tag materials, with a high white matt finish paper labels. Vellum is a general multipurpose label paper and are particularly suitable for thermal transfer printing methods. Vellum paper is made naturally from pure cellulose fibers and is acid-free and also recyclable, making it excellent durable material. Combined with either a permanent, removable or freezer adhesive. Printable with a wide variety of print technologies: suitable for thermal transfer printing with several printer/ribbon combinations like general product labelling and retail labelling. Offers excellent print results: if printed, this material has good scanning characteristics over long distance making it suitable for bar code applications. ISEGA approved adhesives for Direct and Indirect Food Contact: Certain adhesive/product combinations are ISEGA approved for either Direct or Indirect Food Contact. Economic material choice: Excellent material choice for good quality print images when budget consideration. Even if you look at the yearly price increases of vellum labels compared to thermal direct printing, this is a great option! Thermal transfer ribbons made of wax are primarily for printing on paper labels like vellum-type, uncoated or coated semi-gloss labels. 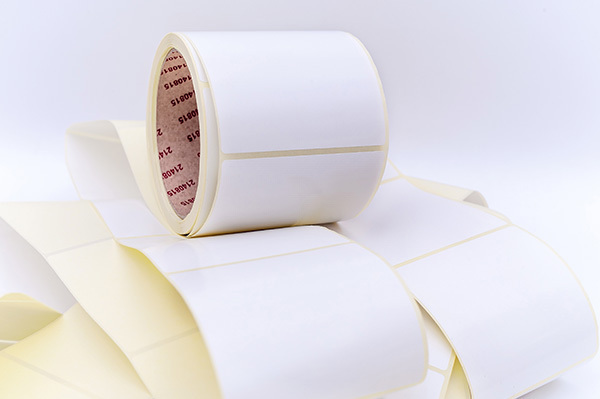 Our +W4U Wax thermal transfer ribbons provide great printing quality and performance for all-purpose marking and work just fine for applications like retail, shipping and warehousing labels. Excellent choise for Vellum Paper labels and Economical use. If you have specific label requirements or questions let us know. In addition to our stocked products, we have the ability to create custom made label materials in different sizes.